Nothing is for sale. Check my trade page for extras/etc. 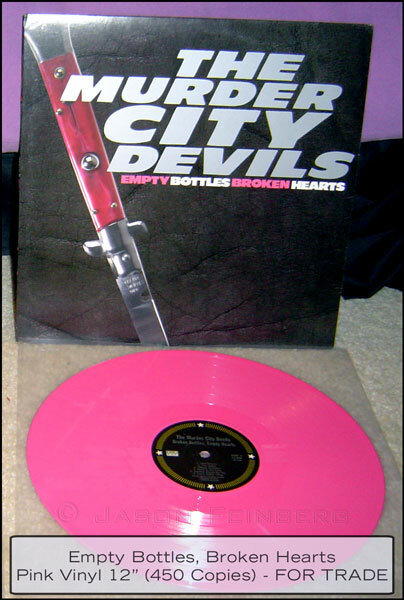 I am always in the market for rarities including test pressings, acetates, and any other interesting items. Contact Me. Includes advance CD, press clippings book, police report/press release, sub pop stickers, postcard, 3 coasters, 2 press photos, and sub pop flyer. - Smile Big Today 7"
- Livin For Leisure 7"
- 6 Minutes Of Hell 7"
- Dead Low Tide 12"
If you are interested in selling or trading, email me. 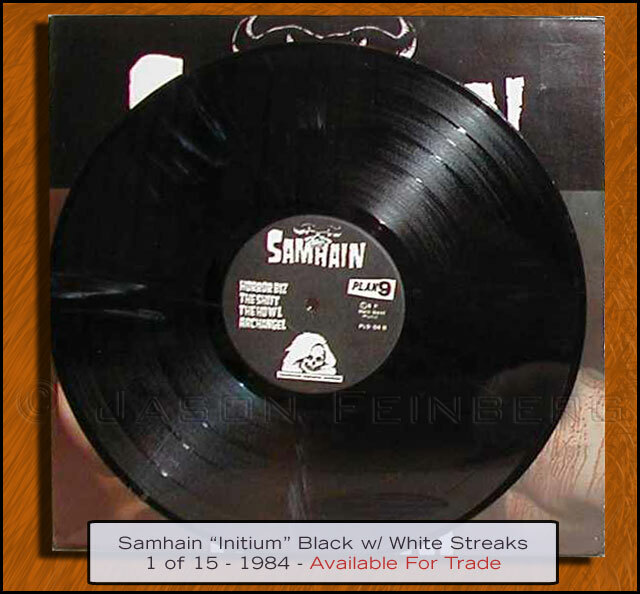 I have many interesting records for trade, such as a Samhain black w/white streaks Initium (1 of 15, 1984) and an Empty Bottles Broken Hearts on Pink.